Tender chicken, peppers, onion and pineapple, slow cooked in a SWEET and SOUR Hawaiian sauce, served over a bed of sticky white rice. Spray the inside of your crock pot with cooking spray for an easy cleanup. 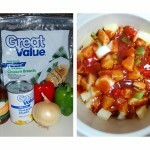 Place frozen chicken breasts, peppers and onions in the crock pot and cover with sauce. Empty can of drained pineapple chunks on top. Cook on LOW for 4-6 hours or HIGH for 2-3 hours. 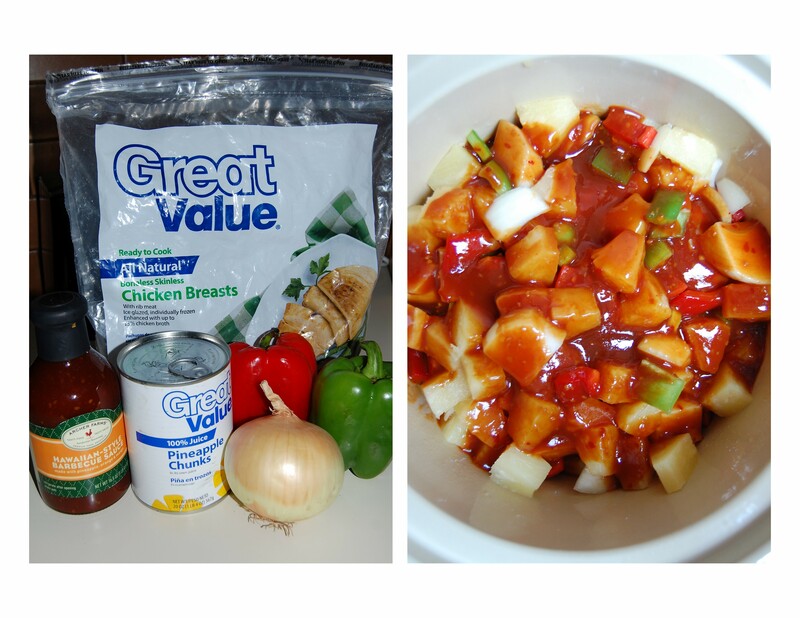 Shred chicken with two forks while still in the crock pot so the chicken will be well coated with sauce. Serve over hot cooked rice.